There is probably not another medical professional you visit more than your dentist. You want your dentist to not only be good at their job, but to make you and your children feel safe and comfortable while in their chair. 1.) Are they kid friendly? You’ll know a kid friendly dental office when you see one. The staff will be welcoming, caring, and friendly. There will be engaging toys or video games for children to play with in the waiting room. 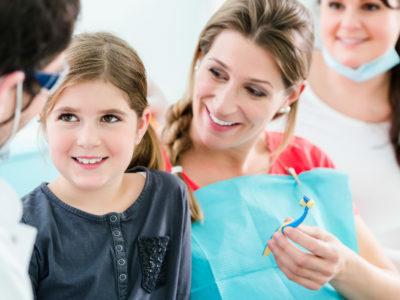 Most dentists have experience working with kids, but be on the lookout for ones who show patience with your little one and provides a lot of explanations during the dental visit. Even prior to going to the dental office, take a look at online reviews. Google and Facebook will give you some very honest customer reviews of the practice and HealthGrades can give you reviews on a specific dentist. 2.) Are you comfortable when you visit them? Whether you have anxiety about visiting the dentist or not, your comfort level during your visit should be a priority. Your dentist should put you at ease when you’re in their chair. If you have questions about the cleaning or procedure, they should be able to explain what they are doing and why it’s important. They should also put your comfort first and take steps to make you feel as at ease as possible. Maybe that includes having a family member with you or using sedation options. 3.) Do they offer convenient hours and emergency services? You probably have kids, which means you’re busy! Running around for school activities, sports, and your daily work schedule don’t always leave you time to visit a dentist during the day. Most dentists work Monday through Thursday, 8-5, with a few hours on Friday, but of course, those are usually the hours when you and your children are preoccupied. Look in your area for a dental provider that takes patients outside of normal operating hours. More and more practices are offering early morning or late evening hours, and some are even open on Saturdays. When emergencies happen, it can be a comfort to you and your child in taking them to a familiar place. Look for a dental practice that offers emergency services to their patients – just in case. 4.) Do they offer many or all of the services your family may need? If you have found a dental provider you like, why travel elsewhere for dental services? Some providers offer many of the main dental services under one roof, meaning you won’t have to travel to an unfamiliar office and dentist if you need a specialty service. 5.) 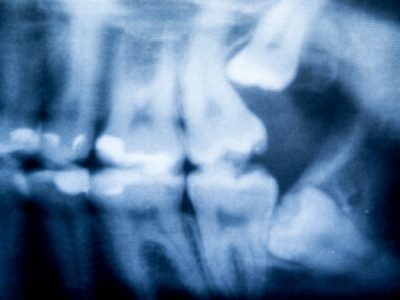 Does the dental team have the proper training and experience? All dentists have gone through at least eight years of rigorous education to be a dentist, but as technology advances and discoveries are made in the field of medicine, dentists should also be attending regular seminars and conferences to keep up on their education. 6.) Do they have up-to-date technology? Cleanliness and maintenance are obviously important factors in choosing a dental practice for your family, but up-to-date technology is also important. Larger dental offices can also afford to have higher-quality technology due to the shared cost among dentists. If you live in the Southern Tier of New York State, Dansville Dental Professionals are dedicated to providing the highest quality of service to our patients and their families. Contact us for an appointment today.